Blockchain technology is the foundation of the Bitcoin. With the popular of Bitcoin, Blockchain gets popular too. People start to use Blockchain other than cryptocurrency in all kinds of applications. By look at Satoshi Natamoto’s Bitcoin whitepaper, you could get confused how bitcoin works. Today, I am going to build a Blockchain from scratch to help everybody understand the mechanism of a Blockchain. Blockchain technology is the foundation of Bitcoin, the most popular cryptocurrency in the world. With the popularity of Bitcoin, Blockchain has also got great exposure. People have now started to use Blockchain in other-than-cryptocurrency kind of applications too. Looking at Satoshi Nakamoto's (the founder of blockchain) Bitcoin whitepaper, you could get confused about how bitcoin works. Today, I am going to build a blockchain from scratch to help everybody understand the mechanism of the blockchain. Blockchain is a database. What is a database? A database is an organized collection of data. Or, you can say, a data structure that stores the data. Therefore, Blockchain is just a data structure that stores the data. Like the name hinted, there will be a chain of blocks. Below is the architecture diagram of a basic blockchain. 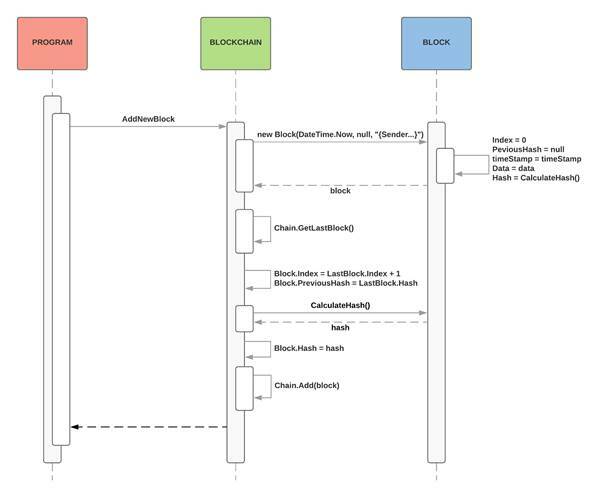 This basic blockchain has a linked list that is composed of blocks. Each block has the following properties. The first block is a special block: genesis block. Genesis block is the only block that has no previous blocks and does not contain data. 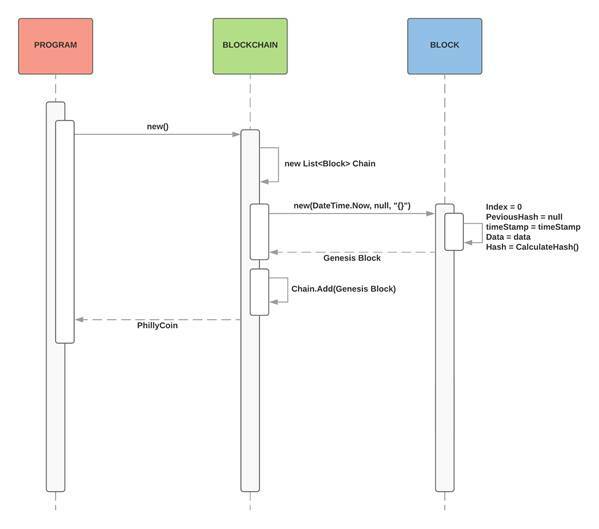 We will add two classes for this data structure: Block and Blockchain. After we have those two classes, we can create an instance of the new blockchain. And, we can add blocks to it. Given below is the code. The Blockchain information will be serialized into JSON and the output in console. One of the advantages of using blockchain is data security. Data security means that tampering with the old data and altering the method of securing new data is prevented by both the cryptographic method and the non-centralized storage of the data itself. However, blockchain is just a data structure in which data can be easily changed like this. Therefore, we need a way to validate the data. This is why I have added an IsValid method to the code. The IsValid method will check two things. Then, we call the IsValid before the data tampering and after the data tampering to see if there are any data issues. How about the case when the attacker recalculates the hash of the tampered block? The Validation result will still be false because the validation not only looks at the current block, but also at the link to the previous block. Now, what about the case when an attacker recalculates hashes of all the current block and the following blocks? After all the Blocks are recalculated, the verification is passed. However, this is only passed on one node because Blockchain is a decentralized system. Tampering with one node could be easy but tampering with all the nodes in the system is impossible. A Blockchain is a chain of blocks. It uses cryptography to ensure data integrity. You can open and run the sample code in Visual Studio 2017. This is the first article in my "Building a Blockchain in .NET Core" series.